To the outside, Gail and Ben have it all – two successful careers, a beautiful house, lots of vacations and an amazing nanny for their teenage daughter, Mali (FINN’S GIRL star, Maya Ritter). However behind the facade, bad investments have the family disconnected, resentful and just about broke. At the centre of this drama is Mali’s young lesbian Mexican nanny, Margarita. Unknown to her employers Margarita has been working for the family illegally for the past six years but despite all this she is passionate, resourceful and devoted to them. She is the nanny, the housekeeper, the cook, the maid and even the repair woman. Margarita is well aware of their financial issues and has been stretching resources in creative ways. 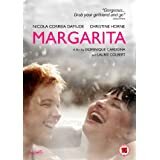 But life is not all work for Margarita, the shy law student Jane is clearly in love with her but is hesitant to bring their relationship out from the closet. When Gail and Ben decide that the best way for them to save money is by firing Margarita they set off a chain of events that lead to her deportation. Heart broken, Mali withdraws from her parents, forcing them to take an honest look at themselves. The well-meaning couple, now desperate to keep Margarita in the country, come up with a scheme to keep her around. But on the eve of her departure, Jane arrives with one proposition that could change everything. The closing film of the 2013 BFI London Lesbian & Gay Film Festival and from the directors of FINN'S GIRL, comes this warm, funny and loving family drama, looking at issues around race, class and immigration. 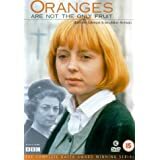 Jeanette Winterson's semi-autobiographical novel Oranges Are Not the Only Fruit transfers wonderfully to the screen in this BBC adaptation (with a screenplay by Winterson). Jess is the adopted daughter of evangelical Christians living in the northwest of England in the 1960s. Her mother wants Jess to be a missionary, but when she falls in love with Melanie, Jess begins to realise that there is more to life than church. When Jess' mother begins to suspect the girls of "unnatural passions" she tries to destroy their relationship with the help of Pastor Finch (Kenneth Cranham) and his congregation. But their efforts--including a terrifying attempt at exorcism--only push Jess further away. Jess eventually understands that the only way to survive is to escape, and she sets her sights on a place at Oxford. Emma is a girl who likes to control. When she tries out for the local voltige (horseback acrobatics) team she meets Cassandra, a strong, attractive and vivacious girl. As they get to know each other they share a sense of wicked fun and quickly become best friends. But rapid-fire confusion sets in. Feelings of jealousy, competiveness and sexual attraction have them pushing each other to their limits. As Emma spends more and more time away from home with Cassandra, her little sister Sara begins to discover her own sexual identity, all the while pining for affection from a reluctant babysitter. Lisa Aschan's taboo-busting She Monkeys lifts the lid on a group of girls for whom gender is both weapon and toy, pushing the boundaries of political correctness to breaking point. Maia, a once successful model attempts to re-launch her career with a sensual photo shoot by celebrity photographer Francesca Allman, who for reasons unknown has isolated herself in a remote, mysterious old house. During the photo shoot, Francesca rebuilds Maia’s confidence but is unable to keep control over her own obsessive, sexual desires and the shoot turns into a whirlwind of passion. But as their sexual relationship spirals out of control Maia begins to feel a strange presence in the house. The tale of three women linked by the Virginia Woolf novel, Mrs. Dalloway. Nicole Kidman won the Best Actress Oscar for her performance as the novelist battling insanity. 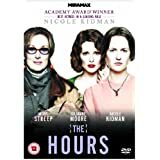 Julianne Moore also stars as a Los Angeles housewife reading the novel and Meryl Streep plays a modern-day version of Mrs. Dalloway. This adaptation of Sarah Waters popular novel follows Nan Astley (Rachael Stirling) as she blossoms into womanhood and explores her sexuality, ostensibly forbidden in Victorian society. Nan seems destined for marriage to a nice, but dull, suitor in her seaside, English town. However, a trip to the theater changes everything when she falls in love at first sight with the ravishing Kitty Butler (Keeley Hawes), a gorgeous woman who makes a living posing as a young boy and singing in a vaudeville-style cabaret--even to the extent of cutting her hair short. Though at first unable to identify her feelings, Nan simply cannot get enough of Kitty, and soon begins to spend every available second with her. As the two grow closer, Kitty invites Nan to accompany her to London. Against her family's wishes, the two move, and Nan eventually joins the show as another gender-bending performer. However, while Nan feels only blissful love for Kitty, Kitty cannot accept the fact of their relationship, and soon begins an affair with a man. Her relationship over, devastated Nan has no career and no love. Using the boyish costumes from her show, Nan begins to prostitute herself to men who are looking for teenage boys. From there, her life spins in wild directions, as she resolves her sexuality, becomes a concubine for an abusive wealthy woman, again ascends to stardom, and finds true love.